Are you seeking for AP Police Recruitment 2018? If yes, there is a good news for you. Andhra Pradesh Police Department has published notification for 2723 Fireman and Warden Vacancies. Interested candidates should check here eligibility criteria, Physical Measurement, and Medical Standard. Eligible participants may apply online for AP Police Vacancy 2018 from 12.11.2018. Online Registration will be closed on 07.12.2018. The Department will select applicants on the basis of Pre, Mains, and Interview. The Preliminary Examination is going to held on 06.01.2019. For more information read below article carefully. Latest Update as on 06.12.2018: Candidates are informed that 07.12.2018 is the last date for AP Police Recruitment 2018. Interested applicants mau fill up their application form as soon as possible. Here we gave you links to apply for AP Police Vacancy 2018. 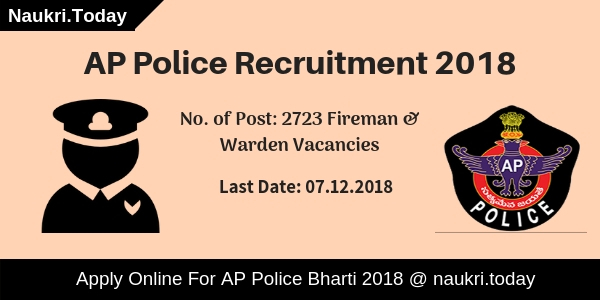 Latest Update as on 27.11.2018: AP Police Department has issued notification for 2723 Fireman & Warden Vacancies. applicants should check here qualification, age, and much more regarding AP Police Recruitment 2018. Here we gave you a link to apply for AP Police Vacancy 2018. Online Registration for AP Police Recruitment has begun form: 12.11.2018 at 03:00 P.M.
Fireman Hall Ticket Publish on: before 10 days of examination. Candidates should check here eligibility criteria before applying for AP Police Recruitment 2018. Participants must fill up their application form correctly. if any detail miss match with your original document, your form will be rejected. Here we provided you links to download AP Wraden Notification 2018. Applicants should have intermediate or its equivalent degree as on 1 July 2018 for AP Police Jobs 2018. Here the Department has separated post on which only women can apply for AP Fireman Vacancy 2018. For Post Code No. 21 or 22 men or women both are eligible. But on Post Code No. 23, 24, and 26 only men can apply for this post. On Post Code No. 25 only women can fill up their application form for AP Police Warden Recruitment 2018. The Department has set 18 years as minimum age and 30 years as the maximum age for AP Police Recruitment 2018. Upper age relaxation is applicable as per government rule. Applicants who belong to OBC Category should be relaxed by 3 years and 5 years of age relaxation is going to SC.ST Category participants. For more details read Notification 2018 carefully. Here we gave you links download AP Police Bharti 2018 notification. Candidates have to pay some amount as an application fee for AP Police Vacancy 2018. Participants can pay their application fee through Online mode. For the payment of examination fee candidates may use their Credit Card, Debit Card or Internet Banking. Here we gave a table which shows you an amount of application fee for AP Police Fireman Jobs 2018. Selection of Participants will take place on the basis of Preliminary, Mains, and Interview for Andhra Pradesh Police Fireman Vacancy 2018. Candidates firstly appear for a preliminary examination. After that applicant who get qualify in Pre exam will take part in Mains Exam. Aspirants who clear who examination will call for Interview. Merit list should be created on the basis of overall examination marks. Candidates should download AP Police Notification 2018 either from here or from official Website. For the post code nos. 21, 22, 23 and 26 a) Height Must not be less than 167.6 cms. Relaxation a) Height: Must not be less than 160 cms. For the post code no. 24 a) Height Must not be less than 168 cms. b) Chest Must not be less than 87 cms round the chest on full inspiration with a minimum expansion of 5cems. Relaxation a) Height Must not be less than 164 cms. b) Chest: Must not be less than 83 cms round the chest on full inspiration with a minimum expansion of 5 cms. For the Post Code No. 25 a) Height Must not be less than 153 cms. b) Weight Must not be less than 45.5 kgs. The Department will pay a stipend to the selected candidates for the time period of training. Selected Participants will get Rs. 16,400 – Rs. 49,870 for AP Police Bharti 2018. For more details consult to official notification of Andhra Police Jobs 2018. Here we provided you easy and simple steps to apply for AP Police Vacancy 2018. Follow these given below steps to download AP Police Fireman Notification 2018. After that search for AP Police Recruitment section at Homepage. Now Read complete notification carefully. Eligible applicants may apply online form links given here. After that pay your application fee. Now Click on Submit button for registration. Conclusion: Andhra Pradesh Police Department has issued notification for 2723 Fireman or Warden Vacancies. Candidates should check here eligibility criteria for AP Police Recruitment 2018. Here we provided you complete details regarding AP Police Vacancy 2018. AP State Level Police Recruitment Board is inviting online application for those candidates who are looking for AP Police Vacancy 2016. Andhra Pradesh Police has released 707 Sub Inspector & Other Vacancy. Applicants who are searching for AP Police Recruitment 2016 – 17 have a golden opportunity. You can submit AP Police Jobs Application form through online mode before the last date 24.10.2016. Andhra Pradesh State Level Police Recruitment Board (SLPRB) has published a notification for recruitment of eligible candidates on Sub Inspector Posts. Both Male & Female can apply for AP Police SI Vacancy 2016. Candidates can check eligibility Condition & Other information for Andhra Pradesh Police Recruitment, which is mentioned below. Education Qualification for AP Police SI Vacancy : Those applicants who are going to apply Application for AP Police SI Jobs 2016 should have done Graduation Degree in any stream from any recognized university. Andhra Pradesh Police SI RSI Jobs 2016 : Age of the candidates should be in between 21 years to 27 years as on 01.07.2016. For Andhra Police Deputy Jailor Vacancy : Candidates minimum age should be 21 years & maximum age must be 30 years. For AP Police Assistant Matron Post : Age should be in between 21 years to 25 years for This post. Cost of Application for Andhra Pradesh Police Recruitment : General/BC Candidates should be paid Rs. 600/- for Police Recruitment 2016 –17. Rs. 300/- must be paid by SC/ST Category candidates for AP Reserve Sub Inspector Vacancy 2016. For AP Police SI & RSI Post : Rs. 28,940/- to 78,910/- should be paid for Andhra Police Sub Inspector Vacancy 2016. For Deputy Jailor & Asst. Matron Post : Applicants will be paid Rs. 26,600/- to 77,030/- per month for these post. 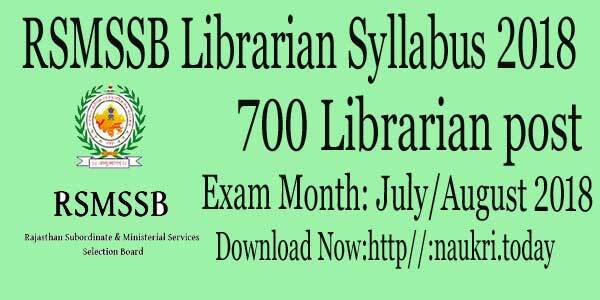 SLPRB Department will conduct Preliminary Written Examination for shortlisting the qualified candidates. Preliminary Exam will be held in two parts. Paper I will be Arithmetic & Mental Ability Test which contain 100 Marks & Other one will be General Studies Test which consist 100 Marks. 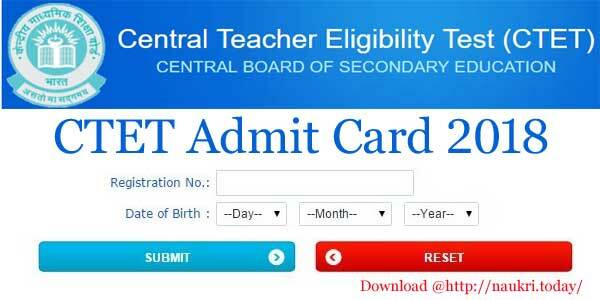 Call letter for Written Examination will be published 10 days before the examination. Shortlisted candidates after written examination will called for PMT PET Test. Final selection will be based on Main Written examination. For more details keep visit this page. Applicants who are eligible & Interested in Andhra Police Vacancy 2016 should apply application before the closing date. Check the given steps before applying online application. Candidates can log on to the official website. After that click on official notification link. Read all the instruction carefully. Now click on apply online link. Fill all the information without any mistake in form. Upload scanned photo & Signature in form properly. Recheck all details & Deposit application fee. Than click on proceed button. Conclusion: AP Police Recruitment 2016 –17 for 707 SI, RSI & Other Post. Apply online application for Andhra Pradesh Police Recruitment 2016 on or before the closing date 24.10.2016.